This sweet potato muffin recipe arrived by the way of my mother’s elderly quilting client, at a Wednesday potluck, with only an ingredient list. So maybe we don’t know the exact origin, and I guessed at the baking technique. All the same, these are scrumptious, especially with a little maple butter. That we do know! There are two parts to this recipe. The first is to roast the sweet potato in the oven. The second is the assembly of the mini muffins, which I’ve written for the food processor. Place the baking rack in the middle of the oven and preheat to 400 degrees. Line a baking sheet with foil. Wash, pat dry and rub the sweet potato with olive oil. Place on the baking sheet and roast for 60 minutes or until a knife pierces through easily. Let cool. Cut off tips and peel the skin off. Set aside. In a food processor puree butter, ginger chunk, granulated sugar, brown sugar, and salt together until fluffy. Next add and puree the sweet potato, egg, orange zest, buttermilk, and baking soda. Add the flour and pulse until just combined being careful not to over mix. 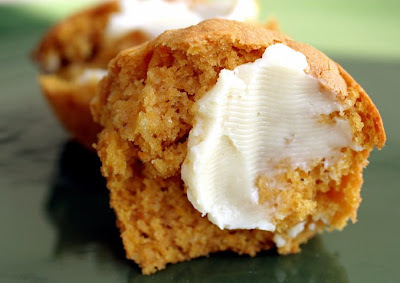 With a standard (size 50) cookie scoop, scoop the batter into the muffin tins. Bake one tin at a time for 10 to 12 minutes until a toothpick inserted comes out clean. Remove from muffin tins after 1 minute. Serve warm or allow to cool completely on a cooling rack. Place in a bowl and beat with a hand mixer until well mixed. 1. Yams and sweet potatoes are interchangeable in this recipe. 2. For regular sized muffins, bake 15 to 18 minutes. 3. If using dark colored muffin tins, reduce the oven temperature to 375 degrees. Recipe by an obscure elderly quilting lady in Northern Idaho and myself, Laura Flowers. These are a perfect size for a morning coffee break or afternoon tea. I especially love the instructions for maple butter. WOW maple butter? That sounds amazing! The maple butter nice for all kinds of things. I've recently used it to butter sandwiches for grilling.